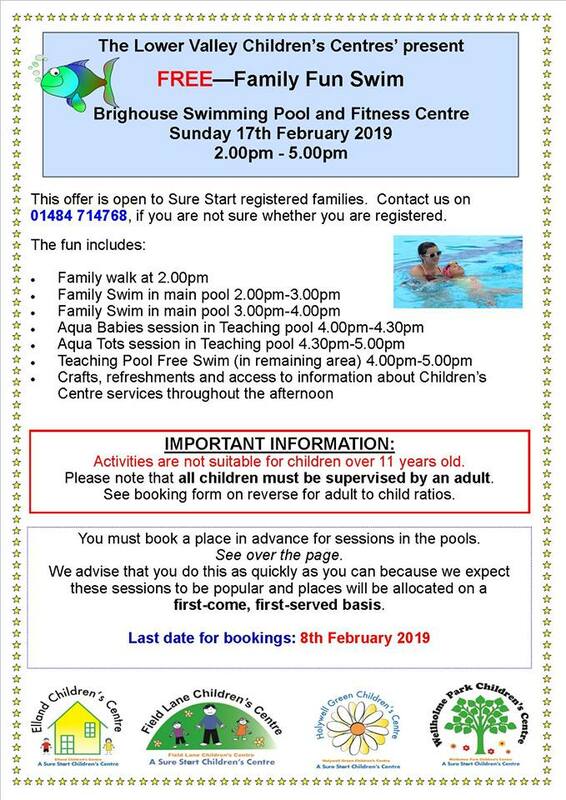 Sure Start registered families can join the Lower Valley Sure Start Children’s Centres for a FREE family fun swim at Brighouse Pool on Sunday 17 February, 2:00pm-5:00pm. To check that you are registered with Sure Start call 01484 714768. Booking is on a first come – first served basis and closes on Friday 8 February. To book your place, call 01422 266197. This entry was posted in Brighouse, Events, Feb, Sure Start and tagged NHP Sure Start Children's Centres.